HONOLULU – On April 1, 1946 a magnitude 8.6 earthquake struck off the coast of Unimak Island in Alaska’s Aleutian Islands. Five hours later a series of devastating tsunami waves, some reaching 55-feet in height, slammed into the Hawaiian Islands. The tsunami caused $26 million in damage and killed 159 people statewide, including six people on O’ahu. With the rate of inflation, the $26 million in damages suffered in 1946 would equate to $337 million in today’s dollars. 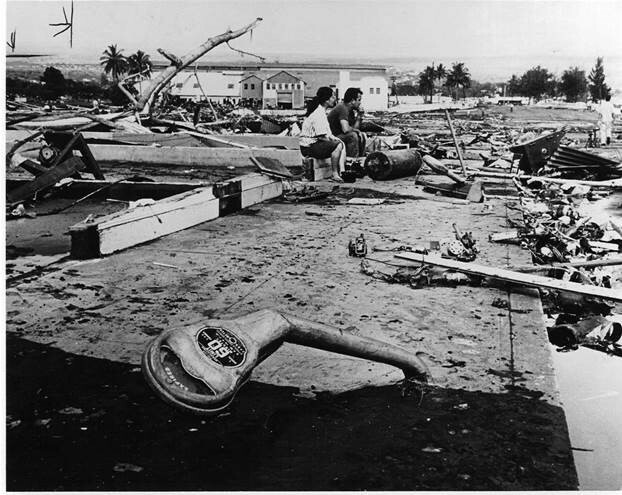 All told, more than 220 people in the State of Hawai’i have lost their lives due to tsunami events since 1946. In fact, tsunamis are responsible for more deaths in Hawai’i than any other natural disaster, including hurricanes. The Department of Emergency Management is encouraging the public to take tsunami preparedness into their own hands this April during Tsunami Awareness Month. April was chosen as the month to honor and remember the hundreds of lives lost during the worst tsunami events in Hawai‘i?? ?s history. •There is NO tsunami season. Tsunamis are a year-round, 24-hour-a-day threat and pose a hazard to all shoreline areas of Hawai’i. •Deep-sea earthquakes or undersea landslides most often generate tsunamis. Remember, tsunamis cannot be forecasted or predicted. •Know if your home or workplace is located in a tsunami evacuation zone. Evacuation maps can be found on the Department of Emergency Management website at http://www.honolulu.gov/dem, by downloading the state’s ReadyHawaii smartphone app, or by going to the Disaster Preparedness Guide within your Hawaiian Telecom phonebook. •If you are in an evacuation zone, you must leave if ordered to do so. If you are out of the zone, stay where you are and keep streets and highways open for emergency responders and evacuees. •Do not tie-up phone lines or cellphones with non-emergency calls. Rely on television, radio and official social media accounts for the most current emergency information. •FEEL: Feel the earth shake (earthquake) so strong that you feel you cannot stand-up straight. •SEE: See the ocean water recede, swirl or act unusual. •HEAR: Hear the roar of the tsunami that sounds like a jet aircraft or freight train. •RUN: Do not wait for official evacuation orders. Immediately leave low-lying coastal areas and move inland to higher ground. Now is the time to discuss tsunami hazards with your family, take the time to develop a family disaster plan, and prepare a comprehensive disaster supply kit. Call the Department of Emergency Management at 808-723-8960 or visit the department’s website athttp://www.honolulu.gov/dem for more information.